Where to Live in Beijing as an expat? 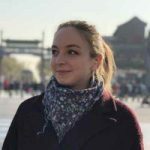 Now you’re (hopefully) all clued up on what Beijing is like as a city, what to expect when preparing to move to Beijing and what it’s like living in Beijing as an expat. So it’s now time to look into where to live in Beijing. Many jobs in Beijing will do the hard work for you and provide you with accommodation. This is common with many teaching jobs, meaning you have minimal things to worry about when moving to Beijing. Whilst incredibly convenient, this does take away the independence of living in Beijing city, and having the fun of renting an apartment in Beijing. If you’re studying in Beijing, your university or language course provider will be able to provide you with more information on renting an apartment in Beijing near to your course. Prices for accommodation in Beijing are widely regarded as high, although if you shop around there are some good deals to be had. The cost of renting an apartment in Beijing will largely depend on several factors, including which district you want to live in, how big the apartment, and whether you want to live alone or in a shared apartment. Prices in Beijing are generally higher than many other cities in China, hardly surprising as a capital city. You should be aware of the costs and your budget before planning a move to China. Prices in Beijing can go from one end of the scale to the other (rat-house to penthouse). You could find a place in Beijing for anything between 3,000 – 40,000+ CNY (150-2,500 USD) per month for your own apartment. This price, of course, is different for those sharing. (Prices starting from 2,000 CNY). An average price for shared accommodation in a decent place in Beijing city would be approx. 3,500-5,000 CNY (600-800 USD) per month. You can find out more about the cost of living in Beijing in Part 1 of our blog. Rent an apartment in Beijing: Where to live in Beijing? Living as an expat in Beijing city, we really think you will want to live in central Beijing. There are many affordable apartments available to rent an apartment in Beijing – but picking your area can be tough. Beijing is incredibly big, and because of this, the area you choose could be the most important factor in deciding on renting an apartment in Beijing. 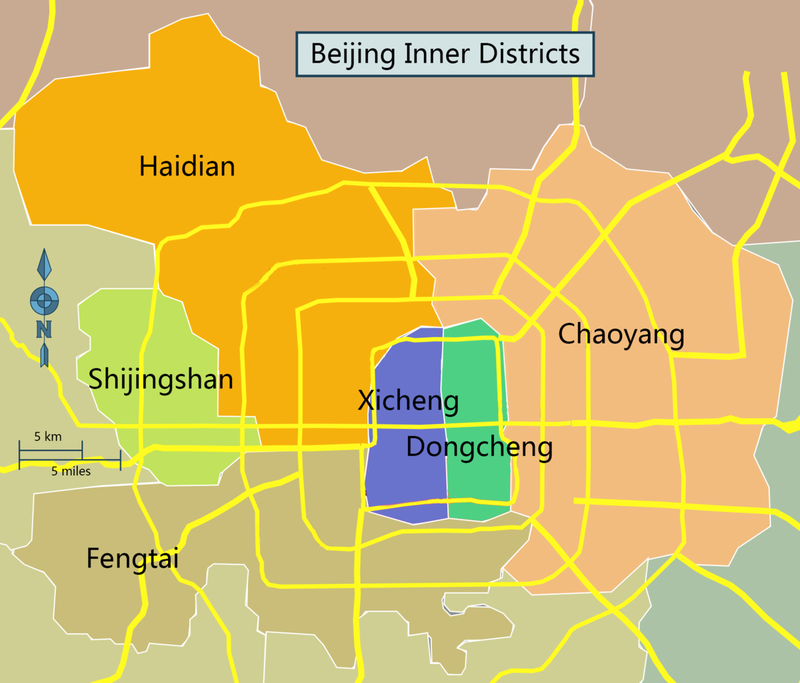 Chaoyang, for example is a huge district bigger than most cities in towns in the world! Chaoyang boasts a population of over 3.5 million and is almost 200 square miles in size! Bare in mind this is just ONE district in Beijing. The numbers really are mind boggling. 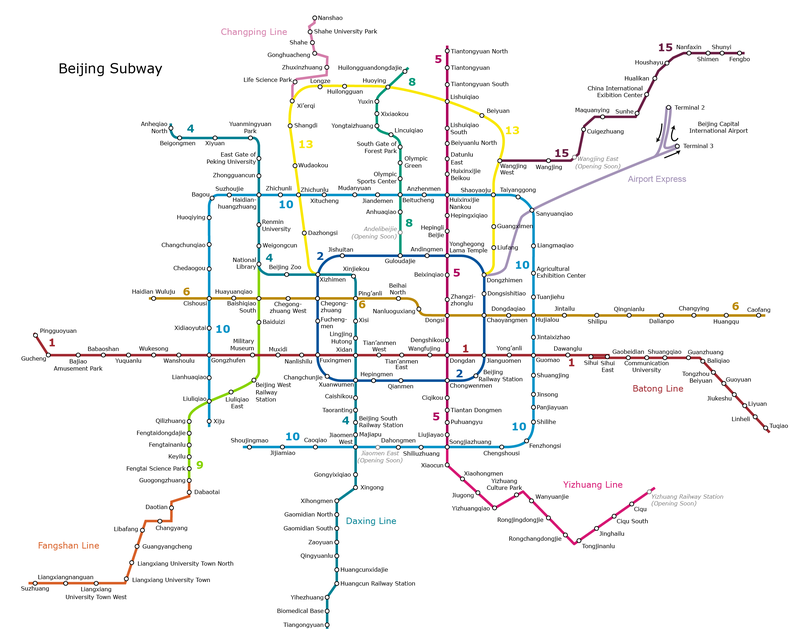 To help get your bearings on this massive city, working from the Beijing subway map definitely helps! 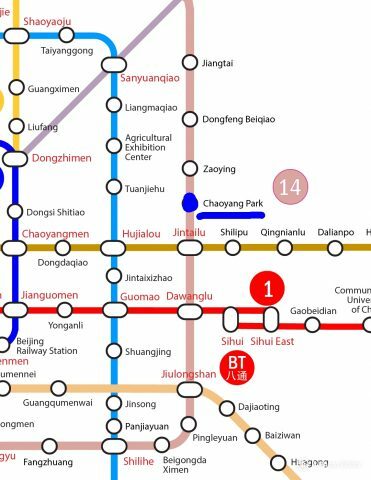 Nearest Subways: Chaoyang Park Line 14/Tuanjiehu. Chaoyang Park puts you right in the heart of many international areas. If you want to get by with limited Chinese, this is probably one of the better areas you could pick to live in Beijing. It’s also just a couple of stops north of the Central Business District area of Beijing which resides around the Guomao/Dawanglu area on Line 1. The budget is perhaps more expensive here than some areas, in the main, due to the more international element of the area but it’s an area of real beauty as well as boasting a more “Shanghai” city feel to it. 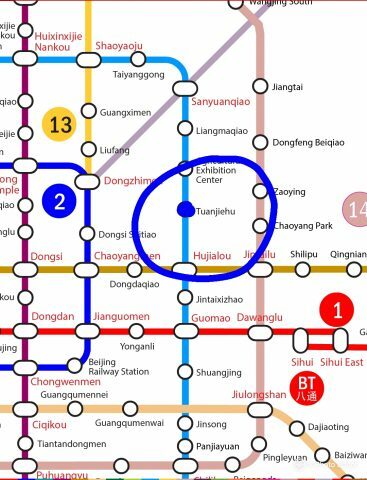 Nearest Subways: Tuanjiehu Line 10/Dongsishitiao Line 2. Tuanjiehu is right in the heart of Sanlitun, you;ll have access to foreign bars, foreign restaurants and foreign brands on tap here. Ideal if these are places you;ll be visiting regularly, but be warned if you want to experience more of “real China”, this might be a place to avoid. If so, head west towards Dongcheng and Xicheng areas. That said, there is no doubting this is a dynamic and energetic part of Beijing to live that really never sleeps. Be warned though, never take a taxi around this area, you’ll be waiting some time. Hop on a shared bike, or jump on at your nearest metro stop. 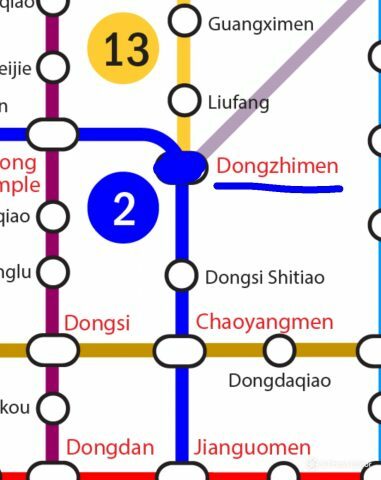 Nearest Subways: Dongzhimen Line 2. We are heading more towards traditional China here. Dongzhimen is an incredibly popular area with expats and locals alike. An area full of excellent eateries and endless little gems to discover in Beijing. Dongzhimen is also conveniently located on Line 2 which gives you access to many famous stops and is also on the Airport Expressway line meaning you can get to the Airport quickly and conveniently straight from this stop. An area we’d certainly strongly recommend for more reasons than one. 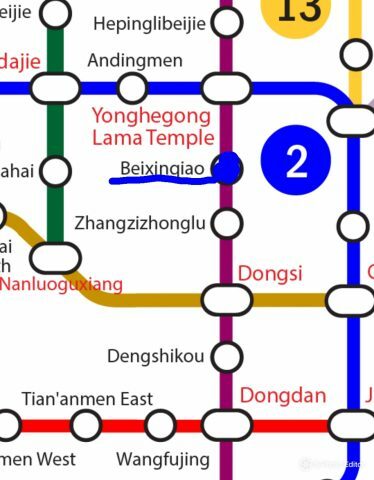 Nearest Subways: Beixinqiao, Line 5/Dongzhimen Line 2. OK, so we talked about “real China” above, and this is fills that bracket. Beixinqiao is a fascinating area of endless little hutongs that host some lovely, cosy little homes for locals and expats alike. To enjoy the tradition hutong experience you do have to pay for it though so if you are living alone, be prepared to shell out a bit more money for them. NOTE – Also be aware that in the cold winters, and hot summers facilities might not be suited. Be sure to check before you move in that the hutong has air conditioning to keep you cool in the Summer, and warm heating in the winter so you don’t freeze to death! 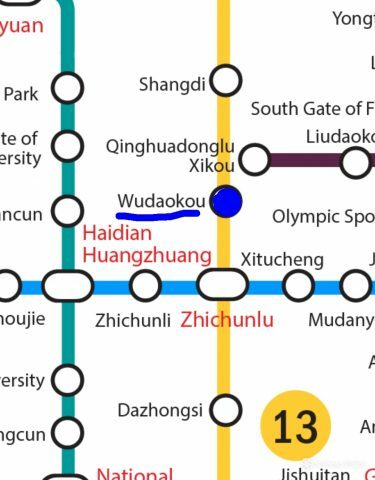 Nearest Subways: Wudaokou, Line 13. Welcome to the student area of Beijing. If living near students if not your thing, Haidian isn’t for you! Haidian is home to a number of universities including the famous Tsinghua University (清华大学) and The Peoples University (中国人民大学). Be aware this is a fair trek from the districts listed above. You’ll be making journeys of around an hour to reach the more eastern areas of Beijing, if you want to visit them. You’ll be faced with a number of options in Wudaokou area, whether you want Hutongs or Apartments, you have the choice here. Prices also start fairly reasonably – Beijing is at your feet! Once you have figured out where you want to live, you’re more than halfway there! Finding an apartment in Beijing can be quite a chore, but we’ve put together some tips to help you find an apartment in Beijing and move in in no time!